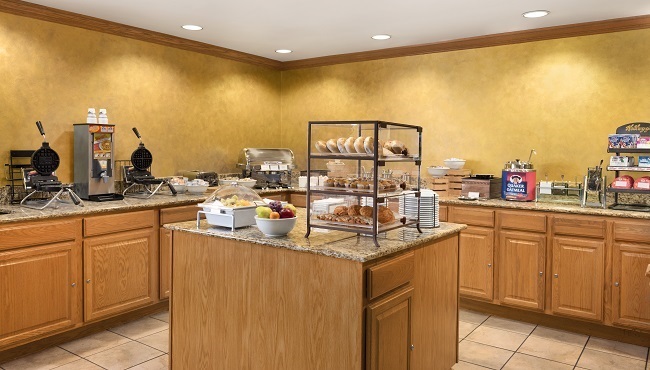 Stay energized all morning with the help of our free, hot breakfast at the Country Inn & Suites, Sycamore, offering hearty options like waffles, eggs and yogurt. If you’re in a hurry, grab a fresh pastry and a piece of fruit before you hit the road. When you’re ready for lunch or dinner, venture out to popular dining spots like China Inn and Sorrento’s Restaurant.